This year's theme at the ICT & Logistics exhibition is "Connected Logistics". A theme fitting Aventeon as a glove and part of our Logistics.ONE DNA. On 07th and 08th November 2018, you will find Aventeon at the Jaarbeurs in Utrecht, together with our partner "Fleets Online", stand 01.B044. To receive your admission ticket use this link. See you there! Attachment Library available in Logistics.ONE! Aventeon has enriched the Logistics.ONE software with „Attachment Library“ functionality. Attachment Library allows Logistics.ONE users to store and manage all kind of files (e.g. PDF, JPEG, MP4, Word, Excel, etc.) on local devices running Logistics.ONE. The files are published through the Aventeon server, no 3rd party software system, such as a TMS, is required. The only additional requirement to open these files, is having the right application on the mobile device (i.e. a PDF-viewer in case of a PDF-file). Attachment Library allows companies to provide their mobile workers with all kinds of documentation, completely paperless. No more lever arch file folders, stack of photos or pile of leaflets! Attachment Library is another option Logistics.ONE offers to provide your drivers or delivery man with a world class, highly effective, mobile solution, realizing paperless communication between all parties involved. Be smart and paperless, start using Logistics.ONE! Integration of payment solution in Logistics.ONE! The most recent version of Logistics.ONE, the best mobile solution for supporting Last Mile Distribution, now offers an integrated payment solution, for credit and cash cards. This option went live in Germany, in association with Lavego AG from Munich. Lavego’s SApp software and Logistics.ONE are both installed on one device, currently Zebra’s TC75 or Samsung’s Galaxy Active Tab. For use of cash and credit cards, a CCV Fly device is linked using WiFi to the mobile device. Logistics.ONE and SApp exchange data and after a payment is completed, the driver can continue with the next logical step in his workflow. Only one network is used, payment is registered and directed using Logistics.ONE, so mistakes aren’t possible. The integration of the payment solution in Logistics.ONE does again demonstrate the advanced, innovative character of the Aventeon organization. The solution went live in Germany, of course we like to realize this effective option for many customers outside Germany too. Rhenus Home Delivery decides for Aventeon Logistics.ONE! It is with great pleasure we are able to announce, Rhenus Home Delivery has decided to implement Aventeon’s Logistics.ONE solution. Logistics.ONE will soon support the working processes at Rhenus Home Delivery. 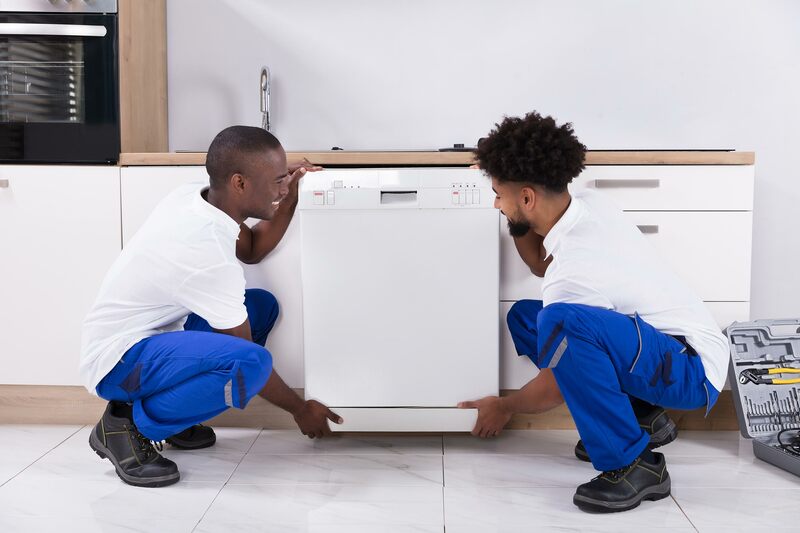 Rhenus Home Delivery is a specialist in Two Man Handling, offering a wide variety of services including assembling, installing white and brown goods, accepting and disposing of packaging materials, disposing of old machines and collecting payments. Rhenus Home Delivery has a network of business locations across Germany and works closely together with international partners. With unified procedures and quality standards, Rhenus Home Delivery is able to adapt their range of services to individual customer needs in a highly flexible manner. Important reasons for Rhenus Home Delivery to decide for Logistics.ONE include the wide range of standard functionalities, the flexibility of product, the user friendliness, the TourMonitor component and Aventeon’s experience with similar processes. Aventeon is very proud to have Rhenus Home Delivery as a customer and we are looking forward to a long lasting, mutual beneficial relationship between our companies!